With the 10x42, we have added magnification without adding extra weight. For situations in the field that call for a closer look, such as scoring game or observing the fine details of wildlife, the 10x42 delivers bright, crisp images, even in low light. With a stunning 5.25 ft close focus and a generous wide field of view, you'll never miss a thing. Quickly pick out some animals from large groups and seek out hidden game in clumps of bushes. With a great close focus of 5.25 ft, these glasses excel both close in and distance. The ZEISS TERRA ED family is lightweight and trail-tough so it packs easily and stands up to rugged terrain. Easy-grip surfaces let you grab and lift the binoculars quickly to your eye. Smooth focus and ergonomically correct eyecups make viewing comfortable and natural. 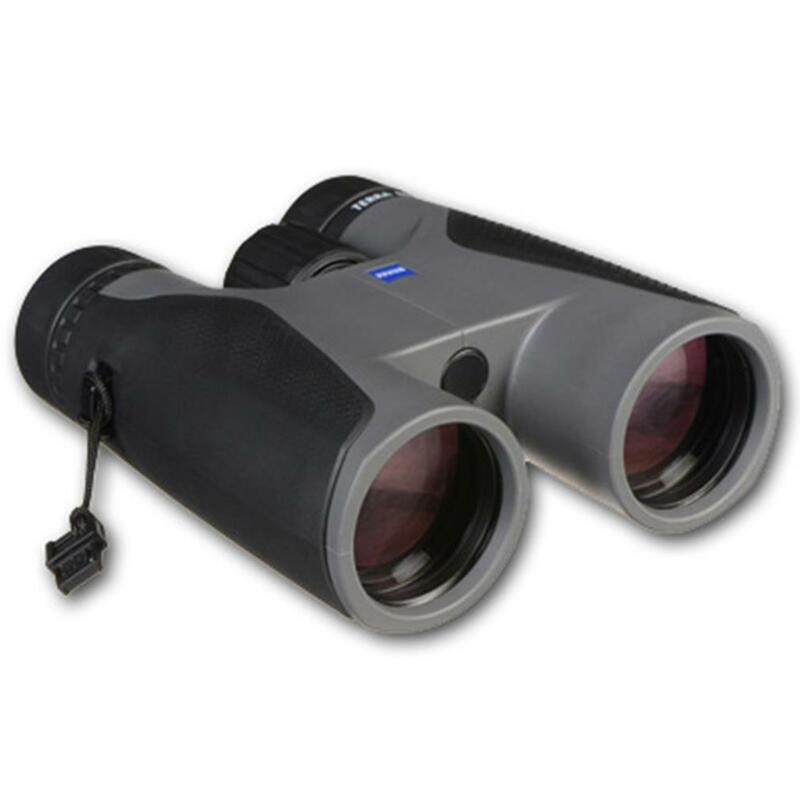 Active outdoor lifestyles demand compact, durable and versatile binoculars. The ZEISS TERRA ED delivers razor-sharp images of faraway objects. But it can also observe nature up close with great precision. With a generous wide field of view and a close focus distance of just 5.25 ft, the 10x42 TERRA ED is ideal for nature observation, whether the object is far across the field or in the tree just above you. Comfortable observation is not just a matter of lenses. Ergonomics plays a major role, too - The TERRA ED shares the ZEISS binocular family's innovative modern design. The comfortable focus system with the large focusing wheel ensures easy handling, optimum grip and precise focusing even wearing gloves. The eyecups round off its ergonomic perfection. Slightly slanted, they are carefully aligned to aid observational comfort.